Bonne année à tous! Here are a couple of short items that will help you get off to a good start in 2011. Les Soldes d’Hiver: Yes, the annual winter sales start in Paris on January 12th at 8 a.m. and run until Tuesday the 15th of February. Now is the time to make your plan of attack or risk losing out on the best deals or your favorite pair of shoes. To get started, take a look at what Amy Thomas, a Posted in Paris contributor, had to say in her article on the Girls Guide to Paris site last spring. (Spring, winter — what’s the difference?!) And don’t forget: pretty much everything is on sale during les soldes, not just clothes. It’s also a great time to buy housewares such as Gien porcelain, Jacquard Français linens, or any other French souvenirs you might have been eyeing. 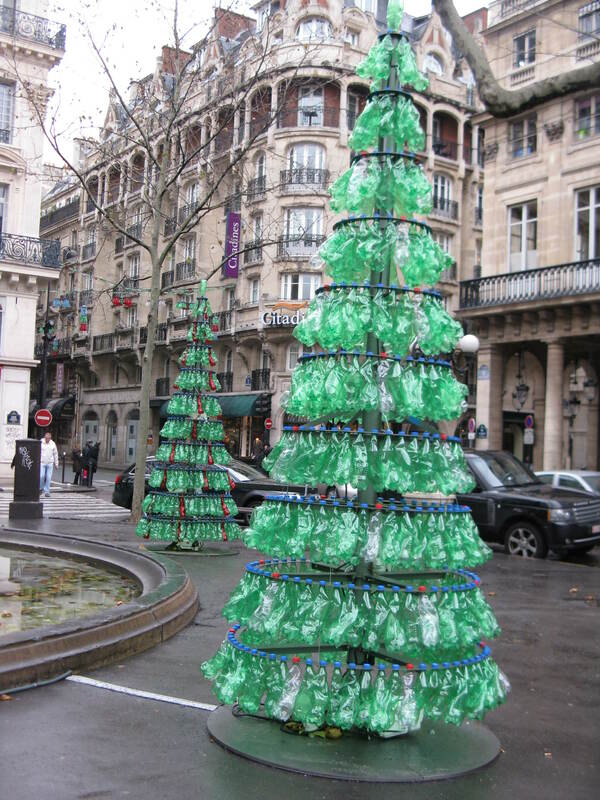 Recycle Your Christmas Tree: The city of Paris has set up 95 recycling points around the city through January 23. (If you leave your tree on the curb by your building, it’s going to go into a landfill.) To find a recycling point near you, go to this page on the city’s Web site and then download the .pdf file. Your tree should be naked — no ornaments, no bags, and no flocking. Catch Up on the Movies You Missed This Year: From January 12th through the 18th, the UGC cinema chain and Le Figaro are teaming up to provide showings of 26 films considered among the best of 2010. (Some of these released later in France than in the U.S. so don’t be surprised to see some of the 2010 Oscar winners among them.) Best yet: tickets are only 3 euros. You can find more information here: http://www.ugc.fr/typepage.do?alias=lesincontournables . If your French isn’t quite up to snuff, check to be sure that any English language films are showing in VO (version originale).